No Classes in April 2016! "Czech you out! You make Kolaches!" 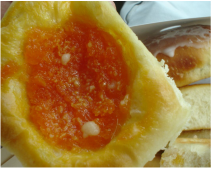 Kolaches are a pastry of mystery and a Nebraska staple. This class will open the mystery wide open and allow you to make a batch of live dough, roll, cut, fill, bake and taste the work of your labor. Everyone attending will be sent home with at least a half-dozen Kolaches. Please bring a large food container for storage. Space is super limited and reservations cannot be pre-arranged. Want to take this class? Read info below. Fill out form below! Thank you. 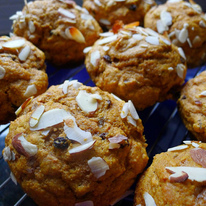 Muffins are an unrated pastry- but we all crave 'em! This class will feature the "mother batter" to 8 great muffins. As an added bonus we'll mix, bake and fill a personal favorite- Corn Raspberry Muffins! Everyone attending will be sent home with at least a half-dozen muffins. Please bring a large food container for storage. Space is super limited and reservations cannot be pre-arranged. 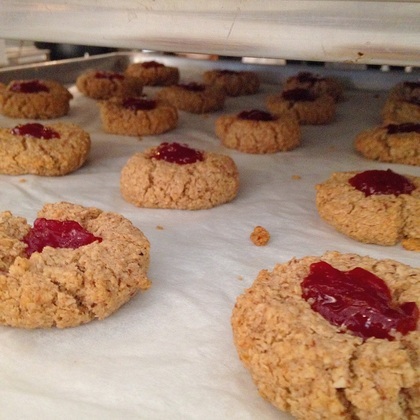 All baking classes are held at Gratitude Cafe Bakery kitchen- 1551 N. Cotner Blvd. Class pricing noted and usually run 1 1/2-2 hours. All classes are taught by Kat (currently) unless otherwise noted. Class size is limited- and classes fill up fast on a first-come, first-served basis. Class inquiry does not guarantee registration due to class sizes. Confirmation with class times will be sent to those taking class only & not available to the public.